The Winnipeg Foundation retained Scatliff + Miller + Murray and KGS Engineering, to create a free-standing arch with associated landscape development including a fountain, at a high-profile site between the Union Station (Via Rail) and the Museum for Human Rights at The Forks in Winnipeg. 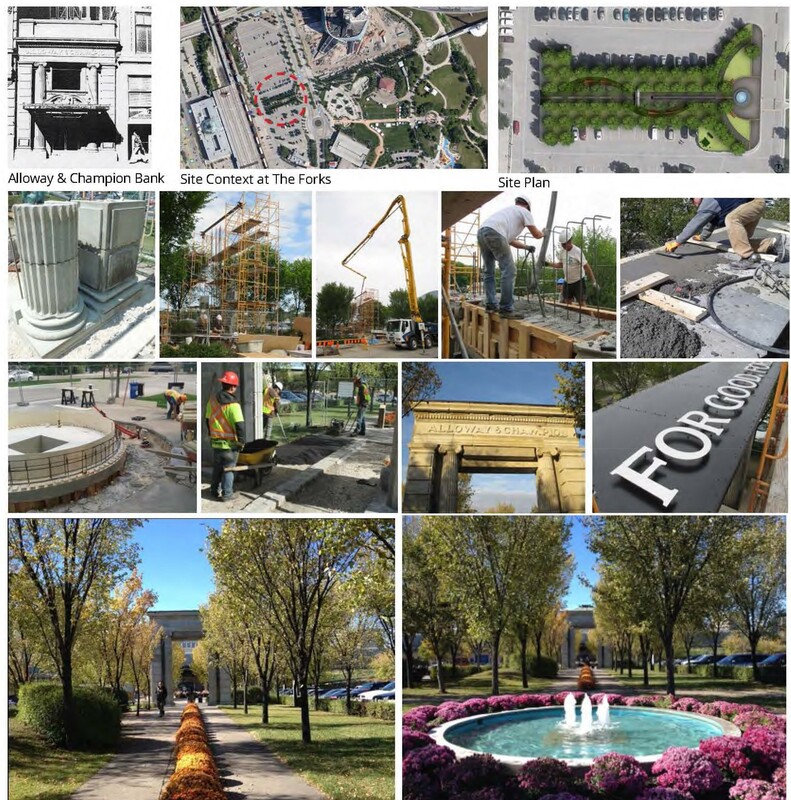 Erik Mustonen conducted construction administration including resolving design issues on the fly, on this fast track project to re-use historic stones from the former Alloway and Champion Bank (constructed 1910, demolished 1974.) The motto of the Winnipeg Foundation, “for good forever” appears in aluminum letters on the roof of the arch, visible from the tower of the museum across the road. The Alloway Arch immediately became a dynamic civic monument framing the view of the Union Station east entrance. 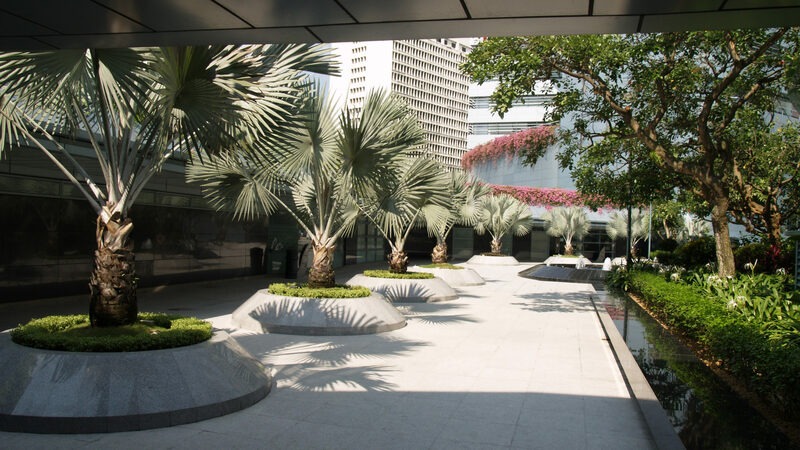 Together with the rows of elms, it creates two “outdoor rooms” that serve as gathering places and peaceful resting areas along the promenade to the fountain.